Animal Tourism and the detrimental impact it can have on animal welfare and wildlife conservation is an extremely relevant and pressing issue of our time with the future of so many species hanging in the balance as a result of human interaction. National Geographic and fellow conservationist, Angelina Jolie, have both recently published articles tackling the negative implications of supporting animal attractions around the world and highlighting the reason why people are unintentionally preventing the cure. 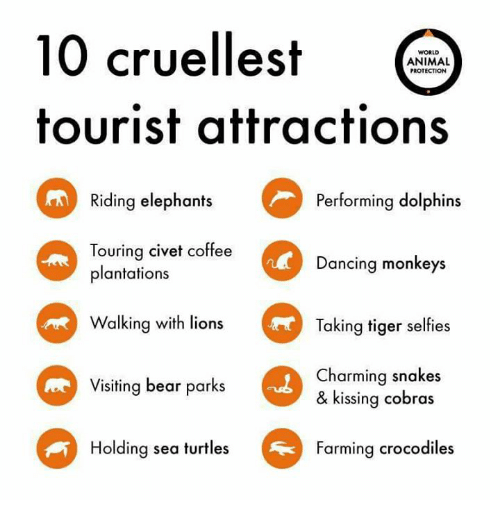 The fact of the matter is tourists can’t tell if an attraction is bad for animals or not. Millions of people each year visit animal attractions across the globe and an article published by National Geographic’s Special Investigation Unit reveals a study that ranks wildlife tourist attractions based on how they treat their animals and whether they help the species. In this major study conducted at the University of Oxford’s Wildlife Conservation and Wildlife unit, results reveal that people are unaware that the places they are visiting have ill effects on animals. Wildlife attractions account for between 20 and 40% of all tourism worldwide with 3.6 million people visiting these sites annually. What the new study shows is that every year 2-4 million people support attractions and organizations that are not good for animal welfare or conservation. It also found that 80% of reviewers did not realize that the wildlife attractions were detrimental to the animals’ wellbeing. Researchers of the study led by conservation biologist Tom Moorhouse, rated different wildlife attractions on animal welfare and conservation. Animal welfare scores were based on factors such as adequate food and water, freedom from pain and injury, ability to behave normally, and level of stress. Conservation scores were based on where the animals came from and whether proceeds help preserve the species through habitat protection, anti-poaching and so on. Researchers of the study rated different wildlife attractions on animal welfare and conservation. Animal welfare scores were based on factors such as adequate food and water, freedom from pain and injury, ability to behave normally, and level of stress. Conservation scores were based on where the animals came from and whether proceeds help preserve the species through habitat protection, anti-poaching and so on. Animal sanctuaries received positive scores for both animal welfare and conservation. Street performances of dancing macaques and snake charming for example received negative scores on both. According to National Geographic "Swim-with-dolphin interactions, elephant rides, shark cage diving, sea turtle, and bear bile farms get the highest number of visitors each year (more than 500,000) and they all have negative impacts on animal welfare". For example, in the instance of shark cage diving, the controversial practice of baiting sharks by chumming the water is believed to have a long-term impact on shark behavior. Feeding of sharks has the effect that it can get rid of that natural concern between the shark and human, or, in some cases, teach them to equate the human with free food. In a broader sense, altering the behavior of the sharks can have impacts throughout the ecosystem. It could ultimately alter the feeding dynamics of the whole food web, and it’s a change of natural behavior. 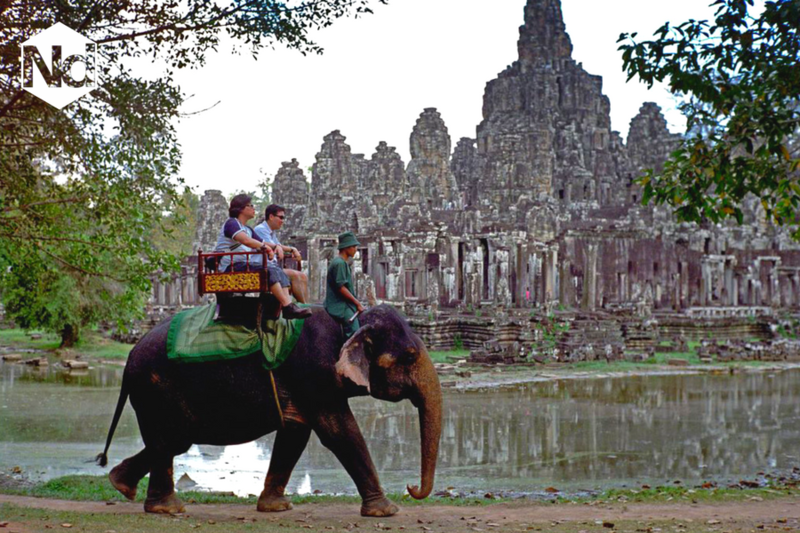 David MacDonald, the director of Oxford University’s wildlife and conservation unit suggests that this situation can be corrected by tougher regulation of attractions, enforcement of welfare standards and ‘by following our rule of thumb: avoid any wildlife attraction that scores under 80% on TripAdvisor. TripAdvisor currently has a program called GreenLeaders, in which eco-friendly hotels that meet certain sustainability standards get an icon of a green leaf on their review page. The researchers of this study would like to see TripAdvisor do something similar with wildlife tourism and attractions. To make elephants submit to giving rides, they are taken from their mothers when babies and forced through a horrific training process known as ‘the crush’. This typically involves restraining them in a small cage, or tying them in ropes or chains so that they can only move when commanded. Severe pain is often inflicted with pointed metal ‘bull hooks’ or wooden battens to quickly establish dominance. Tiger cubs are separated from their mothers at an early age so they can be used as photo props for hours on end. They are handled and hugged by tourists and typically kept chained or in small cages with concrete floors. In Thailand, we found 10 venues housing around 614 tigers. Although Thailand is a hub of cruel tiger tourism it is also prevalent in other parts of Asia, Australia, Mexico, and Argentina. Bears are kept in sterile barren ‘pits’ with minimal – if any – behavioural enrichment. These pits are severely overcrowded. The stress associated with these captive conditions can increase the susceptibility of wild animals to diseases caused by bacterial infections. Holding a sea turtle causes it to suffer a great deal of stress which can weaken its immune system and increase its susceptibility to disease. When handled by tourists, they often panic and intensively flap their flippers which can cause fractures and detached claws. It has also been known for tourists to accidentally drop struggling sea turtles. This can cause significant injury, like a broken shell, which can kill the turtle. Dolphins are often chased by high-speed boats before being hauled on board or caught in nets. For many, the stress is too much to take and they die during transportation to their intended destinations. Those kept in dolphinaria, whether wild caught or captive bred, face a lifetime of suffering. The pools are often treated with chlorine which can cause painful skin and eye irritations. Pool-bound dolphins often suffer from sunburn because they can’t escape to the ocean depths. Young macaques are trained aggressively and painfully, to make them walk, behave and appear more human. When they’re not performing, the macaques are often kept chained in small barren cages or outside on short chains. As the macaque grows, the chain can become embedded in the skin leading to painful infections and disease. Caged civets are encouraged to gorge on an unbalanced diet of coffee cherries. This unnatural captivity and forced feeding results in injuries, disease, and poor nutrition. Many show signs of great stress, including pacing and self-mutilation. There is now a growing civet coffee plantation tourism industry in Indonesia where tourists visit caged civet cats and sample the coffee. This is causing more and more civets to be caged and abused. Cobras are commonly used for performing even though they are venomous and their bites can be fatal to humans. The Cobras are usually captured from the wild, then they are defanged with metal pliers and their venom ducts are either blocked or removed – often with un-sanitized equipment. This often results in painful infections and can kill the cobras. The animals are usually housed in concrete pits and conditions are often severely overcrowded and unhygienic. Crocodiles are very sensitive to stress. And severely stressful situations – like the intense farm environment – can lead to septicaemia. If a crocodile remains in a stressful environment, it may not be able to fight the infection and fatal diseases can develop. People love animals and love to be around them. The human-animal bond is a mutually beneficial and dynamic relationship between people and animals that is influenced by behaviors that are essential to the health and well-being of both. For the most part, people are well-intentioned and want to do their bit to help animals, but there is a lack of awareness of how to do this constructively and responsibly that actually benefits their welfare and conservation. There are many places, which score highly on both levels, and therefore I would prefer to use the term conservation tourism instead as far as these places are concerned. There are many ways to have a hands-on experience helping animals and conserving wildlife. For example, Orangutan Appeal UK is advertising right now for a new liaison officer in Borneo working at the heart of their organization to conserve this beautiful creature which is now at crisis point. The Sepilok rehabilitation center nestled in the Kibili rainforest reserve provides a safe haven for orphaned and displaced Organutans and prepares them for release back into the wild. The important role of the liaison officer is to raise public awareness of visitors to the center of the conservation efforts of Orangutan Appeal UK and the Department of Wildlife in Sabbah and bring harmony between people and Orangutans. Be one of the special few who experiences and helps with Orangutans being rehabilitated and see wild and semi-wild Orangutans being rehabilitated. The Travellers Worldwide program at Sepilok is a volunteer conservation experience for where you have the chance to care for orphaned and displaced orangutans and aid their rehabilitation back into the wild. Travellers offers the only opportunity in the world to work at this remarkable, world-renowned orangutan Rehabilitation and Conservation Center. This experience provides enormous satisfaction helping injured, orphaned and displaced animals to return them to their natural environment, plus an in-depth understanding of wildlife rehabilitation and the important contribution it is making to wildlife conservation and protection. During your placement you'll learn about managing and interacting with juvenile Orangutans working at the Outdoor Nursery and manage and interact with baby Orangutans working at the Indoor Nursery. Work is done on a rotational basis, with different groups of volunteers working within each of the different departments. There are now many companies that offer volunteer, work and learn experiences that get you up-close and personal with wildlife, but the welfare of the animals is top priority. STA Travel and Working Abroad Projects are just two examples and the later works in partnership with the wildlife and rehabilitation reserve N/a’an ku sê in Namibia which, is another organisation very close to my heart. Their mission is to conserve the land, cultures, and wildlife of Namibia and rescue species threatened by an ever-shrinking habitat. The reserve is run by the N/a’an ku sê Foundation with Marlice and Rudi van Vuuren at the helm constantly striving to find the balance between humans and the environment that is so crucial to our own future. N/a’an ku sê has the most fascinating and progressive projects for conflict mitigation between humans and Cheetah’s and African Wild Dogs and has made ground-breaking progress for the conservation of both species. Their Mangetti Elephant and African Wild Dog Research Project is a fascinating field of study in the wildest reaches of Namibia’s north-east. This is geared towards intrepid volunteers, eager to embrace a wild side, are able to discover the secrets of some of Namibia’s most elusive (and endangered) inhabitants. N/a’an ku sê works to preserve the natural habitat and to protect endangered species, such as elephants, rhinos, and cheetahs, like the ones pictured in this blog. They’d been orphaned, and nearly died. They were nursed back to health, but they cannot be returned to the wild, as they have lost their fear of humans and could be killed if they stray onto farmland. With cheetah numbers plummeting to fewer than 7,100 worldwide, the mission is to save every animal possible. These cheetahs are not pets, nor should any wild animal ever be kept as one. They inspire us to help preserve these unique, majestic creatures in the wild, as just one of many steps to preserve the environment for future generations.